A screen door is a door with a frame having a mesh made of any material or fiberglass, which is normally installed covering an exterior door. This mesh is the screen which keeps insects carrying diseases like house fly and mosquitoes away from your house and thus in turn keep your children and pets safe from illnesses. These doors, at the same time, provide ventilation and fresh air into your house, allowing the pollutants indoor to flow out. 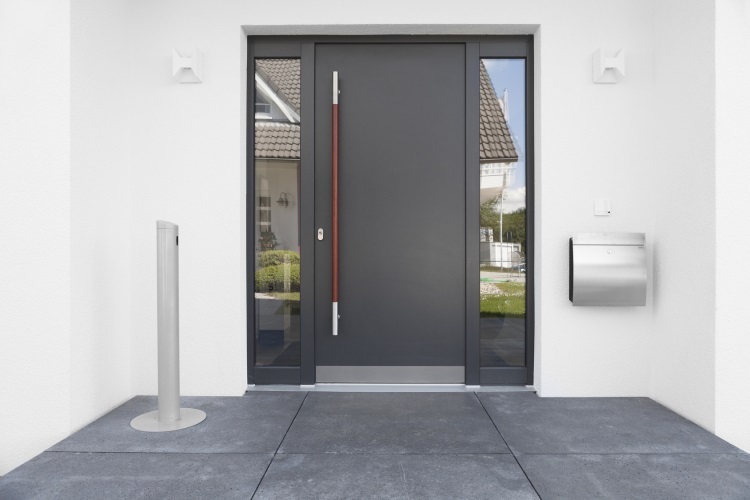 Before you opt for a screen door, it is nice to look at the different options available with different styles and material used and find the one which meets your requirement. Whatever may be the type, these screen doors normally come in an aluminum frame. You can also opt for a screen door whose bottom half of the door has reinforced aluminum panel. As they are available in a variety of colors, you can look for the one which suits the décor of your house. The materials used for the mesh are aluminum, fiberglass, stainless steel and also polyester. Below mentioned are some features of different types of mesh. This mesh is available in gray and charcoal color and offers exceptional appearance and view. This works out well with reasonable price and has no problem with denting. You can measure the fineness of the screen mesh by the spaces per inch. You can also opt for meshes which are finer as these can be more helpful in preventing even tiny insects from entering your home. This mesh is made up of fiberglass of thick strands which are woven very closely as compared to the regular meshes. These provide you more than 60% protection from the UV rays of the sun. With these you are able to protect your carpets other furnishings from fading. It also gives benefit by reducing your energy bills. These screens work out to be stronger as compared to the other meshes. These screens are normally used in houses which have pets as they need to be resistant to scrapes and tears caused by pets like dogs and cats and are available in white and black colors. These screens are considered to be the most secure and are available in black and white colors. As these are the strongest as compared to the rest, you can be tension free as no pet or child can break through them. With the hinged frame screen door you get an aluminum frame with non-removable stainless steel tough screens which can keep your home safe and also clean from the allergens and pollutants from outside. These doors are manufactured keeping the required standards in focus and prove to be energy efficient, beautiful and durable. Look out for manufacturers which provide screen doors meeting your requirements in accordance to your budget. Don’t be in hurry while selecting the one for you. Take the help of experienced and professional person to decide. Manufacturers with experience will be able to provide you the screen doors of your choice, giving you options between the retractable screen doors, hinged doors or the sliding screen doors. Finalize your choice and then contact them to get an estimate of the expenditure so that you are not faced with any problem once you have made up your mind. If you’re looking for more information about screen doors then go here.